Living in a new country can be daunting for anyone. But if you have had to flee your home country due to conflict or war, settling into a new place is especially difficult. In Germany alone, there are around 243,721 Syrian citizens seeking asylum, according to statistics. IB Diploma Programme (DP) student Bledion Vladi, from Accadis International School, Germany, believes the best way to integrate into a new community is to learn the language. 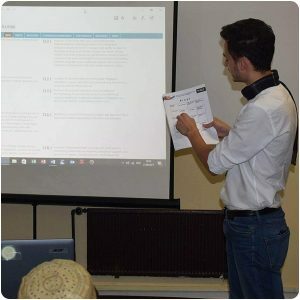 That’s why he created Wir Lernen Deutsch (We Learn German) – a language instruction programme for Syrian refugees in Eltville town. The class meets every Saturday from 12pm to 2pm in the small town of Eltville, and is attended by 25 students aged 20 to 54. Bledion uses Passau University’s worksheets – German Courses for Foreigners. The classes have been running since September 2016 and are a huge success. Bledion received commendation from the Wiesbaden Government for his efforts. 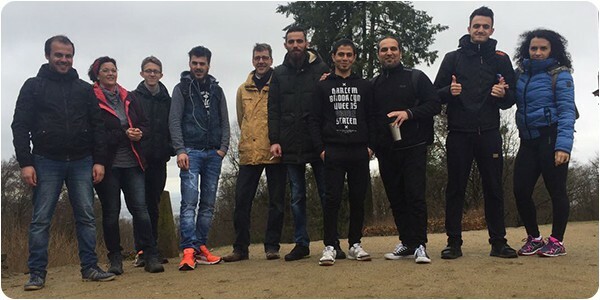 “Considering the refugee crisis that we are having in Germany I wanted to be engaged and help these people as much as I could to integrate in our society faster – and the best way is to learn the language”, he says. 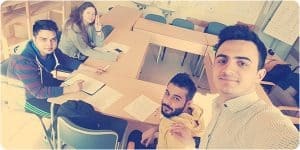 He has also started an e-learning online teaching programme for students who live out of the city; introduced the Wandern mit Flüchtingen (Hiking with Refugees) initiative to integrate refugees with locals; and organized a Summerfest day, which brought everyone together for barbecued Syrian and German food, music and dancing. Bledion is considering taking a gap year to work on more projects in the future. “I will continue working in order to achieve my goals – to enable refugees an easier integration and make them feel welcomed here in Germany”. IB English Teacher Richard Coburn adds: “Bledion’s efforts – language instruction, immigration counselling, integration into the local culture and goodwill projects – have made him an exceptional community, activity, service (CAS) student. We could all take a few leaves out of his book”.